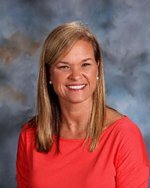 Mrs. Hickman attended the University of Alabama where she received a bachelors degree in special education. After graduating from the U of A she began teaching at PCHS. While teaching she earned a masters degree in counseling. Mrs. Hickman is beginning her 23rd year at PCHS. She lives in Carrollton with her husband and two children.